We are committed to offering the BEST behavior programs available. Because every dog and human’s needs are different, we offer a variety of education options. It is our mission to provide comprehensive support and solutions to help dogs and humans flourish together. Seeking a place to engage and have fun with your dog? Check out our open gyms and events. Just getting started with a new dog? Group classes! Tackling a serious behavior problem? You may need an intensive package. Don’t see what you need here? Email or call. If we don’t do it, we can recommend someone who does. 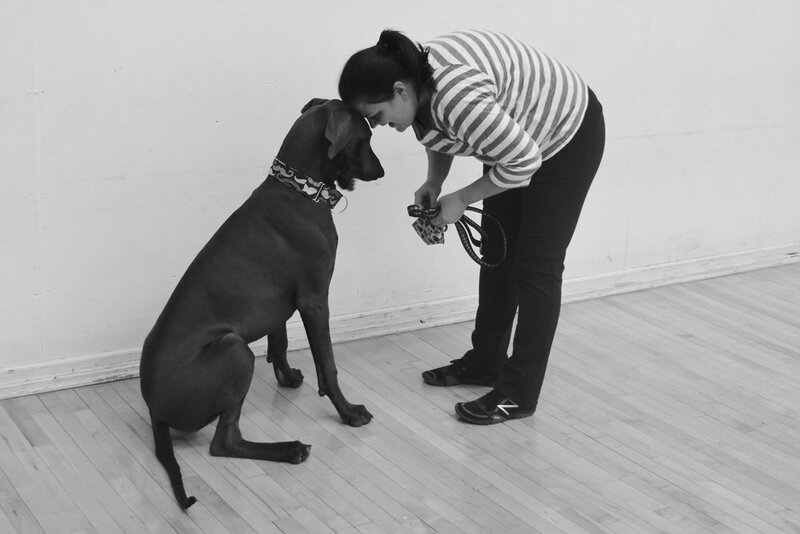 Group classes are the most economical way to learn new things with your dog. They also provide a fun opportunity for you and your dog to engage with other members of the community, socialize, and perfect good manners in distracting public environments. Learn more. Private, in-home coaching is a great way to solve all types of behavior issues. Programs are entirely customized to your needs. Learn more. Open gyms are an indoor opportunity to exercise and socialize your dog under the watchful eye of an expert trainer. Just like puppy socials, open gyms are a casual gathering of dogs and humans who want to play and commune with their neighbors. Safer than the dog run, and cleaner, clients love coming to play with their dog. Learn more. For those dogs and humans who are faced with too little time or too large a problem to tackle on their own, we offer intensive training packages. Each package is completely customized to suit your needs. Learn more. In some cases, sending your dog to an overnight bootcamp may be the best way to get a leg up on the training process. An initial consultation is required to determine if your dog is a good candidate for this option. Learn more.